Looking at this 1977 Oldsmobile Toronado Brougham, it would appear that stylists took a 180° turn from the first-generation models, which when introduced for MY 1966 were unlike anything else coming out of Detroit. The Toronado was the first mass-produced American car with front-wheel-drive since the Cord of the 1930s. The swoopy-looking first generation cars gave way to this more boxy look beginning with the 1971 models. It would last until the down-sized 1979 cars debuted. 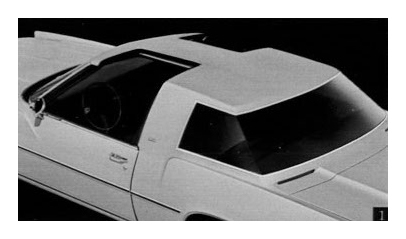 The ‘77s were available as Broughams, or as XSR Coupes, which had radical, squared-off wraparound rear windows and a pair of sliding glass panels (below) which disappeared into the center of the roof. 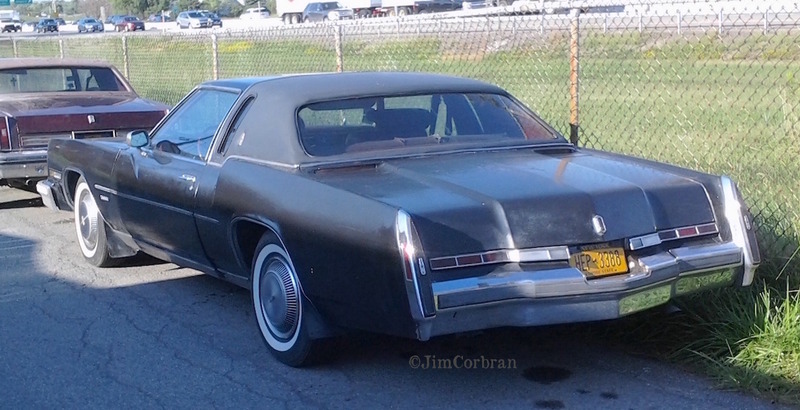 Saw this black Brougham last summer in Cheektowaga.